* Renewables could account for 85 pct of power mix by 2050. Building new nuclear reactors in France would not be economical, state environment agency ADEME said in a study on Monday, contradicting the government’s long-term energy strategy as well as state-owned utility EDF’s investment plans. In a speech last month, President Emmanuel Macron said nuclear energy would remain a promising technology for producing low-cost, low-carbon energy and that EDF’s EPR reactor model should be part of future energy options. 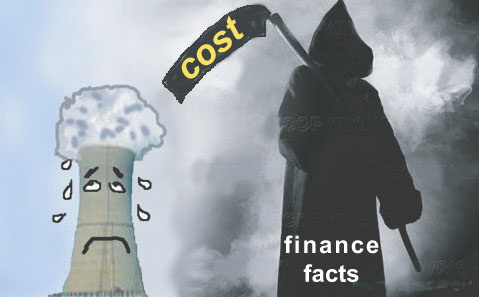 Two EPR reactors under construction in France and Finland are years behind schedule and billions of euros over budget. Building a single EPR in 2030 would require 4 to 6 billion euros of subsidies, while building a fleet of 15 with a total capacity of 24 gigawatt-hour by 2060 would cost the state 39 billion euros, despite economies of scale that could bring down the EPR costs to 70 euros per megawatt-hour (MWh), ADEME said. Renewables costs could fall to between 32 and 80 euros/MWh, depending on the technology, by 2060. But extending the existing fleet too long, while also building new EPRs, would lead to overcapacity, compromising returns on all generation assets, including renewables. EDF – which generates about 75 percent of French electricity with 58 nuclear reactors – declined to comment. The ADEME report, which studied energy mix scenarios for 2020-2060, said renewables could account for 85 percent of power generation by 2050 and more than 95 percent by 2060, except if the government pushes through the EPR option anyway. The gradual increase of renewables capacity could reduce the pre-tax electricity cost for consumers – including generation, grids and storage – to about 90 euros per MWh, compared to nearly 100 euros today, ADEME said. ADEME director Arnaud Leroy, appointed in February, helped write the energy chapter of Macron’s election programme and was a spokesman for his campaign, but the agency is independent and earlier studies have also contradicted government energy policy.